Last year I received this Christmas card from Ian Fleming Publications. Today I had the great pleasure of receiving there new Christmas card for 2016.You can read their entire Christmas card/year in review below. Last year this email included a lot of new information on what was to come later on. Sadly this year does not contain much to get extra exited about. But it is interesting to notice that Ian Fleming Publications works together with Random House Enterprises to make revenue from potential upcoming collectables. I myself sees a collaboration opportunity between IFPL and Floris, The London based fragrance maker that I wrote about here. 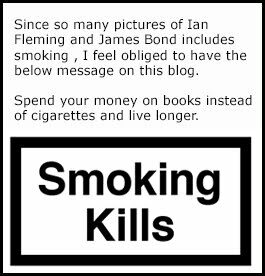 Below is the letter from Ian Fleming publications. Here we are again looking back at another busy year. Having seen the publication of the English language paperback editions of Trigger Mortis earlier in May, we were absolutely delighted to be able to announce in the Autumn that Anthony Horowitz will be writing a second James Bond novel for publication in 2018. As with his first 007 novel, Anthony is planning to use one of Ian Fleming's television script outlines and, from what we've seen so far, it will be a cracker. 2016 has been a particularly colourful year in the IFPL office, as we've had a constant stream of wonderful comic book art for approval. The two contemporary Bond series, Vargr and Eidolon by Warren Ellis and Jason Masters have been very well received, as has the mini-series Hammerhead by Andy Diggle and Luca Casalanguida. More excellent, creative partnerships are on board to continue the Bond series in 2017, and Felix Leiter will be having his own adventures in the capable hands of James Robinson and Aaron Campbell from January. We thank Mike Lake and Dynamite for guiding us carefully through this vibrant medium. Staying in the illustrated world, Titan Books are continuing their re-mastering of the original Express comic strips and published their second collection, Dr No - The Classic Comic Strip 1958-60, in the same stunning hardback format as their 2015 SPECTRE Collection. And the Folio Society published beautiful editions of Casino Royale and From Russia With Love with illustrations by Fay Dalton. Young Bond has been particularly active courtesy of Steve Cole with escapades in both May, Heads You Die, and September, Strike Lightning. 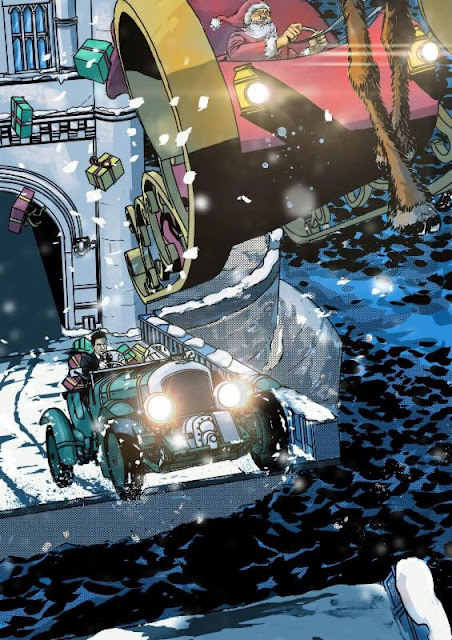 Red Nemesis, Young Bond's final adventure, is listed for May next year. We were delighted when Pan MacMillan included Chitty Chitty Bang Bang in the launch of their new Collector's Library. Chitty is in very good company, and the pocket, hardback format suits Joe Berger's illustrations extremely well. Our international publishing partners have continued to delight us with new editions of the Fleming titles as well, of course, as our new releases. Random House Enterprises are kindly looking at opportunities for licensed products with focus on literary Bond. The first offerings come from Out of Print who are producing stylish t-shirts and sweatshirts featuring some of the iconic covers from the original Fleming hardbacks. To support all this activity, our website has had a complete make-over and was re-launched in September (www.ianfleming.com). Jo and Jonny worked tirelessly with the web developers, and we hope everyone enjoys the new experience. Jonny is also very active on our behalf on social media, especially Instagram, which features on the website's home page and is well-worth following. As for the IFPL team, we were very sad when our former Chairman and, of course, Ian Fleming's literary agent, Peter Janson-Smith, died in April this year and at the passing of our other former colleague, Gillon Aitken, in October. Both were our good friends and wise advisers. On a far happier note, we welcomed Romena Ratkeviciute to the finance team in February this year, and she has taken over the Finance Manager role while Tilly Cookson is on maternity leave. We send our best wishes to you all for the festive season and wish you a very happy New Year. Attached with there Christmas Card was a drawing of James Bond hunting Santa made by Jason Masters who drew James Bond in the two stories Vargr and Eidolon.